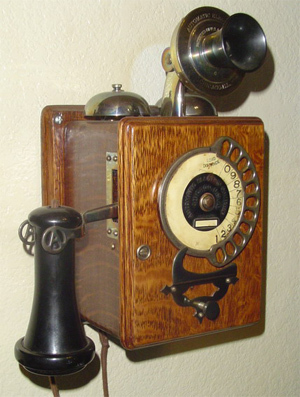 An early Strowger wall phone with its unique dialing mechanism. With original number plate. See this early Strowger potbelly candlestick.